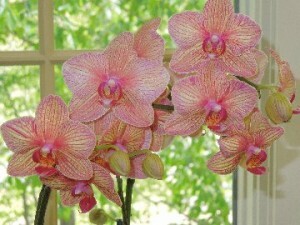 What Type of Orchid Winter Care Should I Give My Phalaenopsis?  I have been enjoying your letters on orchid care and adhering to the advice. Thank you. Many “thumbs up”!! My orchid is a Phalaenopsis. It was purchased in March in bloom with a number of buds and has continued blooming. I am a plant lover and it joins a myriad of other plants in a bright room and sits on a table in a large palladium East window, shaded by the trees outside, and has been perfect. The blossoms have just started to drop one by one every so often. Now that winter is coming, with the leaves gone outside soon, it has to be moved since the sun beams thru that window. We have no North window. Can I move it to the side away from direct sun? Any other suggestions for how to care for my Phal in winter would be helpful. Should I fertilizer more or less when it gets cooler?